Beautiful clouds light up to the south and east of Boulder, Colorado at sunrise from along Four Mile Creek on the north end of town. 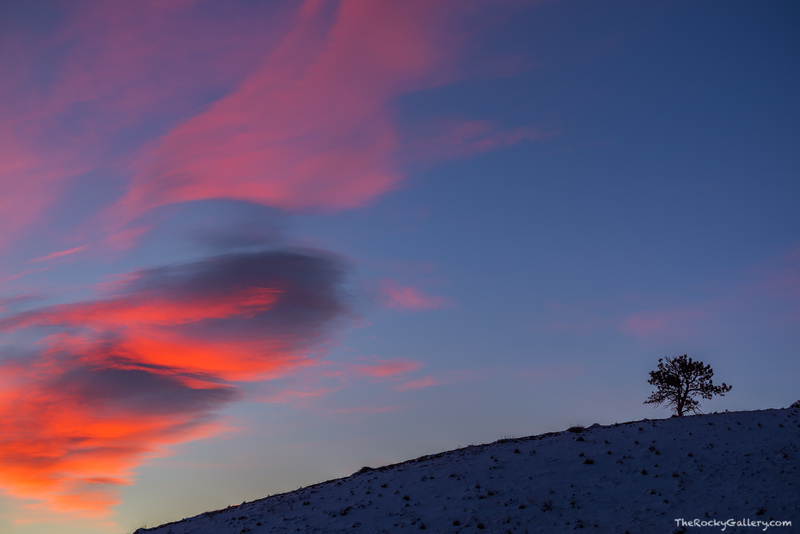 This one tree stands alone on the hillside taking in the view as another colorful day dawns over Boulder. Photo © copyright by Thomas Mangan.